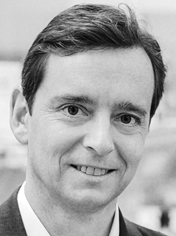 – Christian Thirion, CTO and founder of SIRION Biotech GmbH. Therapy development has become ever more complex. Treating the patient as a whole has become the concentrated effort of all global decision makers in the field. To meet this challenge, all elements of a gene-therapeutic approach need to be refined through all stages of development by specialized experts. Sirion Biotech is this expert. The company is versed in engineering viral vectors as gene carriers on a world leading level. Through a unique collaborative approach, SIRION Biotech can accompany therapy R&D from preclinical stages on upwards by engineering viral vector technologies to fit the specific needs of any project. Working with SIRION not only helps build new therapies but will create completely new intellectual properties with tremendous value to the whole pharmacological community. To incorporate SIRION technologies in planned or ongoing R&D and clinical programs is as easy as sending an email to info@sirion-biotech.com. All inquiries are handled by highly trained research professionals and will be answered in a matter of hours. Virus particles as gene vectors are a central aspect of modern therapy developments. With its concentrated focus, SIRION Biotech is the best choice for you to harness the power of this technology. Only SIRION Biotech’s comprehensive platform enables you to reach ALL 3 major vector technologies for preclinical and therapeutic R&D.